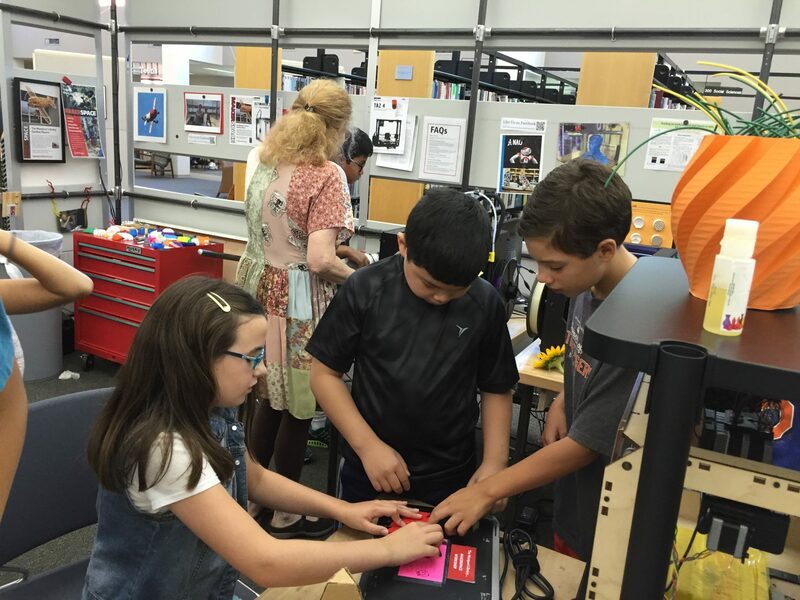 Hands-on learning at The Westport Library as part of Level Up Village’s Global Inventors/3D printing course this summer. NASA for Educators is a robust site with hundreds of resources searchable by subject, grade level, type and keyword. These lesson plans and teaching materials can be used to support your STEM curriculum. PBS Design Squad offers lots of STEM-based activities, animations, video profiles, and episodes to use in your classroom, searchable by subject area and grade level. Edutopia features 78 boards on Pinterest on topics such as World of Design Thinking, Science Strategies, and Math Rules. Followed by more than 77,000 people, this rich resource includes blog posts, lesson plans, classroom printables and much more. We Are Teachers has a strong presence on Pinterest with 210 boards and nearly 90,000 followers, including this STEM-specific board. Another good one to try is ISTE’s STEM Pinterest board. Education World suggests these eight STEM activities and features 35 boards on Pinterest including this STEM Board. And read these articles by Education World and Cozi to find some of the best teacher-created Pinterest boards with lessons, materials and subject area resources, including plenty of STEM ideas. In this open market place, teachers buy, sell and share their best resources for all subject areas, including a wealth of STEM lessons. Used by more than 1.6 million teachers, this site arranges materials by topic and grade level, including lesson plans, printables, worksheets, audio and video recordings. Developed by teachers for teachers, Share My Lesson is a free platform where educators can find high-quality teaching resources, including a variety of STEM materials. When a school signs up to offer Level Up Village’s pioneering STEAM (STEM + arts) courses, the teacher(s) receives comprehensive training, including detailed lesson plans, instructional videos and all necessary materials. They learn to teach the engineering design process, CAD, 3D printing, video game design, mobile app development and more, while facilitating meaningful one-on-one collaboration between their own students and partners in developing countries. Schools that sign up for Global Inventors/3D printing also receive a 3D printer to keep.